Abdul Azeez is a professional food safety trainer and consultant from Muvattupuzha in Ernakulum district. He is having an experience of over 20 years in food safety consultancy and has served as a food inspector in the food safety department of Dubai Municipality. He is the Managing Director and Principal consultant of M.R.S International Food Consultants, an established Food Safety Training and Consultancy Services in the GCC. M.R.S International Food Consultants is an establishment for food safety training and consultancy services headquartered at Dubai, U.A.E. It has branches in Abu Dhabi, Sharjah, India and Malaysia. Started functioning in 2005 with only 3 staff in hand, M.R.S. has an ambitious vision and focus on training and consultancy in Food Safety Management System(FSMS). M.R.S. is guided and operated by qualified and competent professionals with dedication and commitment to achieve its vision. It ensures to keep abreast of the changes happening in food safety scenario and registered with International awarding bodies like RSPH (Royal Society for Public Health), HABC (High field Awarding Body for Compliance),CIEH (Chartered Institute of Environmental Health) and TSI – UK (Technology Space Integration Ltd.). M.R.S also does pest control services in Abu Dhabi, Emirates. The M.R.S is a multi-faceted organization, incorporating policy, education and professional standards, training and education activities, supported by local governments. As a professional, training consultancy company with food safety at its forefront, the M.R.S needs to be visible in all its fields of operation. To strive to be the best Food Safety Training & HACCP, ISO Consulting Company in the Middle East region, India and Malaysia. To deliver the highest quality education and provide innovative consulting services. To be admired by the customers and accountable by clients with a motto ‘to achieve success in service beyond efficacy’. Vision of the company is to be the Knowledge Manager and champion of the food safety training and education. In M.R.S, a professionally qualified team designs the food safety training courses and HACCP Implementation procedures and documentation. Practical approach, professionalism, Food Industry experience and knowledge are our real resources / assets which includes former food safety enforcement officials and industry experts. Where and when it counts, as a professional, food safety training at the forefront of environmental and public health. Acting on hard evidence and sound market knowledge. To the changing and developing needs and expectations of all its Customers. Consulting & Implementation HACCP (Hazard Analysis Critical Control Points) is a program that provides food establishments with a complete Food Safety Management system compliant with International Standards and recognized by the local regulatory and supervisory bodies. Abdul Azeezis the son of Late. Sri.Mulattu Ibrahim Haji , an agriculturist and Late. Smt. Khadeeja, a housewife. 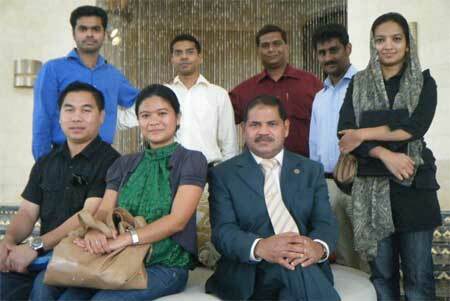 He started his career in Gulf as a Food Inspector in the Dubai Municipality in 1991. Parallel to his profession, he pursuedhis studies and accomplished an M.Sc degree in Food Safety Management in 2005. 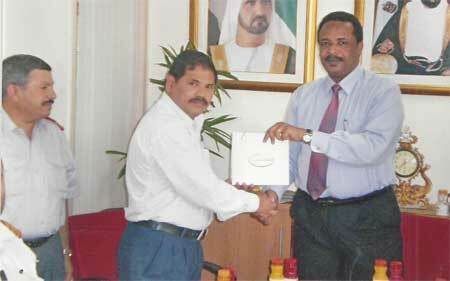 He was adjudged and awarded as the best employee in the Dubai Municipality many times during his service. In 2005 he started his company, M.R.S. International Food Consultancy with 3 staff which has now grown up to have 13 staff in it. 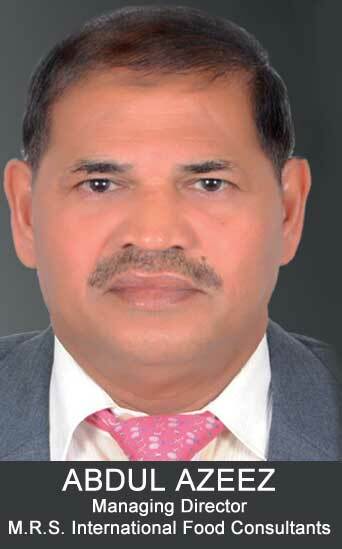 He quit from Dubai Municipal Service in 2008 after having treasured with 17 long years of experience. M.R.S. under his leadership and guidance has earned many reputations, one among them is the award for the best training company, from the Sharjah Municipality. His hobbiesare travelling and reading.Mr.Azeez is the member of two internationally acclaimed organisations, namely, American Quality Association – ASQ and International Association for Food Protection – IAFP. He is married to Sainaba, a housewife and the couple is having threedaughters and ason. The eldest daughter Sabna, an MSc Biotechnologist is married to Binesh, an IT Manager. 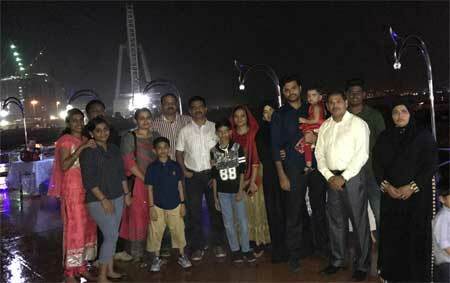 The second daughter Ansa and her husband Risal are settled down in Singapore. Ansa has completed her BSc Computer Science and Risal is an Engineer. The third daughter Abeena is in her first year at Emirates Universityat Al Ain, with Food Science and Technology as main subject. Lastly, Asif the boy is a Plus One student at Gulf Indian School in Dubai.